Green Frog Systems Completes the Largest Continuous Solar Pathway Light Installation in Australia. 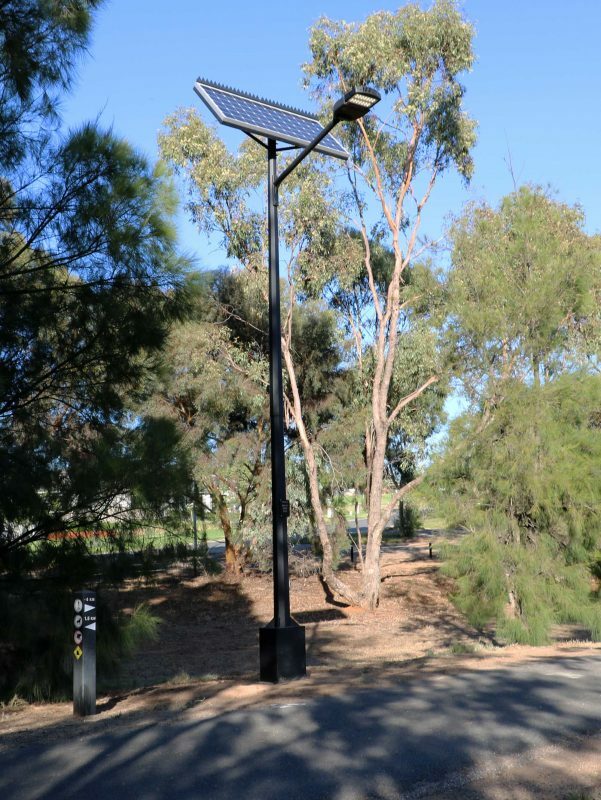 Green Frog Systems supply and install 104 solar lights over 5.5km of Lake Alberts’ walking trail in what is Australia’s longest continuous solar pathway light installation. 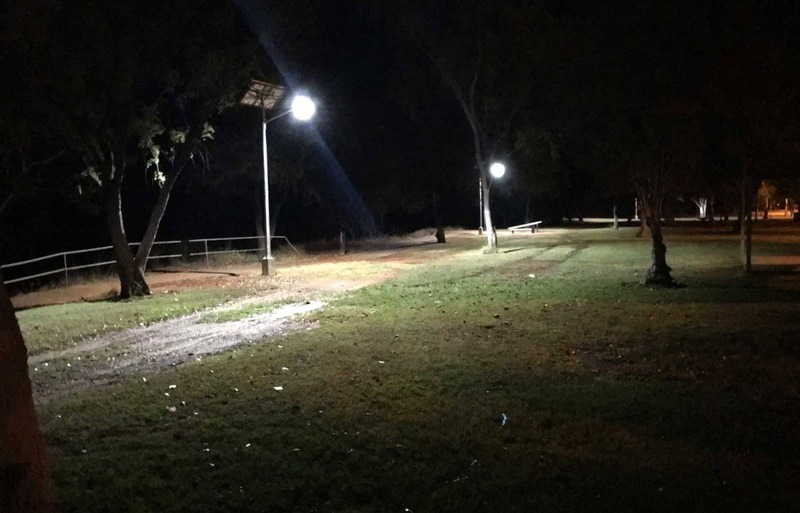 Calls to light up Wagga Waggas iconic lake Albert have finally been answered with 104 STEALTH series solar powered pathway lights being installed along the lakeside-walking track. From the outset the specifications called for a lighting system that used solar power largely due to the impressive results of several other solar lighting trials within the region. Local community group Committee 4 Wagga (C4W) launched a unique initiative to finance the installation costs. 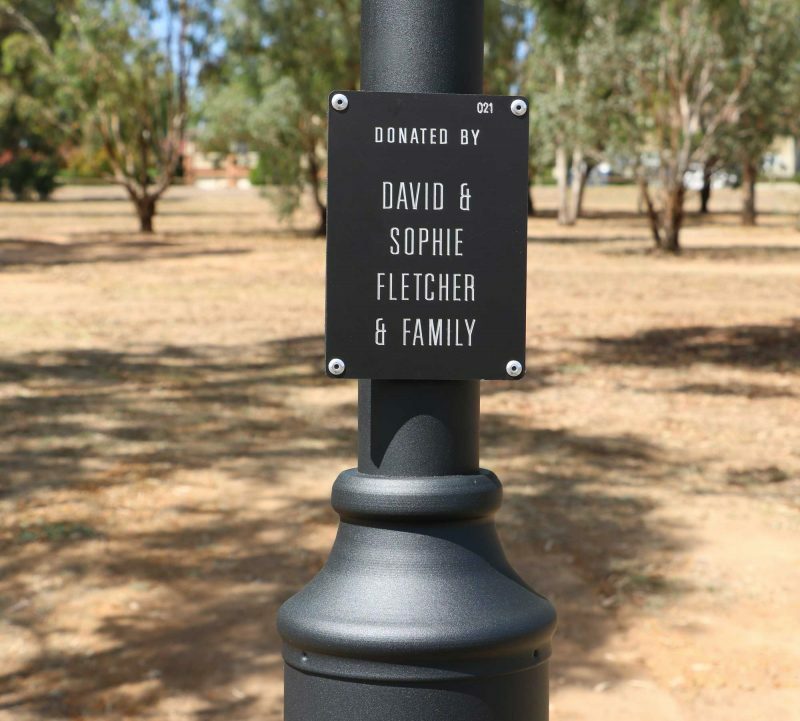 The scheme called for local businesses and community groups to sponsor a light pole and be acknowledged with a named plaque on each light pole. Wagga Wagga’s City Council and the NSW State Government also provided financial assistance. 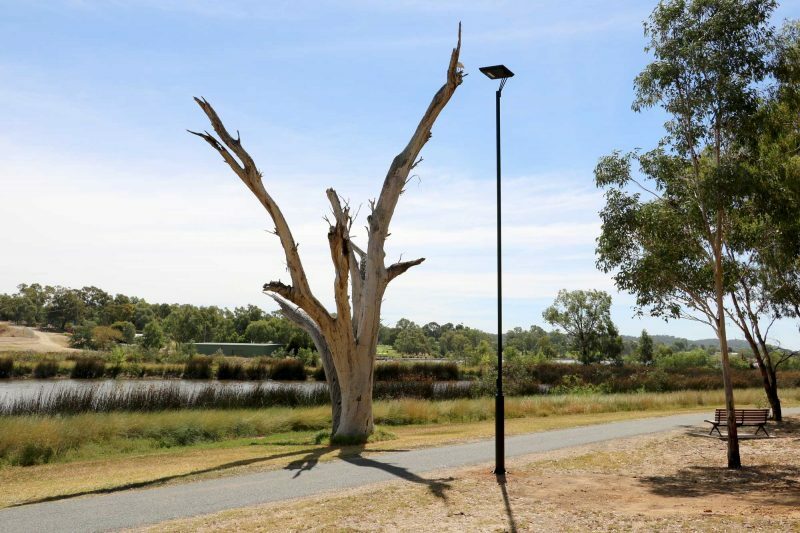 Green Frog Systems designed a contemporary 8M high pole to meet the AS1158 P4 lighting requirements while augmenting the look and feel of Lake Alberts’ natural environment. 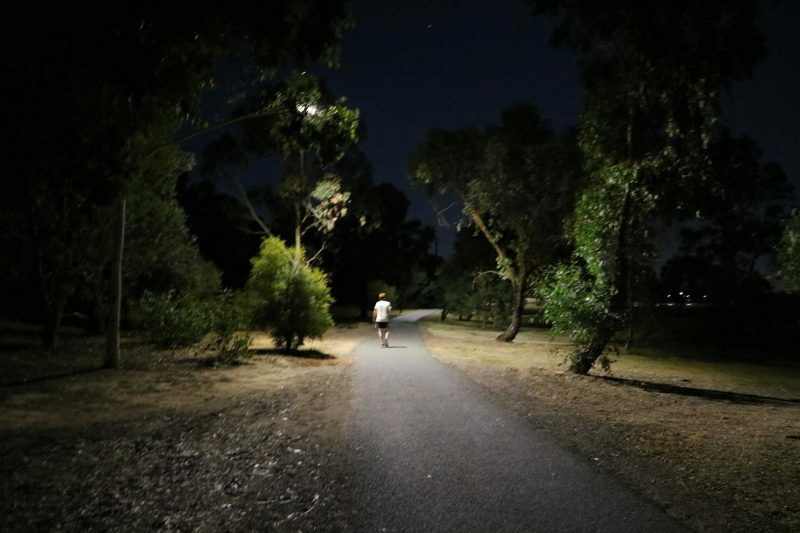 The custom solar pathway lighting was then deployed around the entire 5.5km of lakeside walking track in what was to become the longest consecutive installation of solar pathway lights anywhere in Australia!